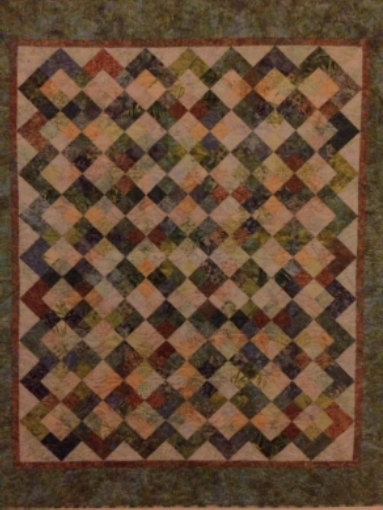 This versatile quilt uses Four-Patch units to make a great Dark and Light pattern. Mine reminds me a day at the beach, but this quilt can be made with other fabrics such as batiks, patriotic fabrics, reproductions, or other great choices. Without the border, it could be also be a wonderful baby quilt!